Dermatologist recommended tips for transitioning your beauty routine to warmer weather. As temperatures rise and as we reemerge from the cocoon of cozy blankets, bulky sweaters and flannel pajamas, it’s time to start thinking about what steps to take to prepare for warmer weather. 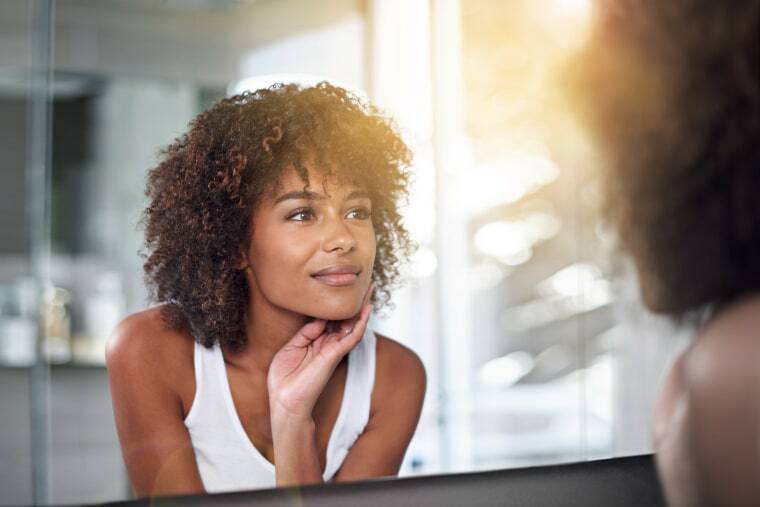 Naturally, we reach for lighter clothing and make solid plans to bask in the sun, but something often overlooked is how we approach our skin care regimen and general beauty routine. While a complete overhaul isn’t necessary, a few adjustments will help you feel and look better once spring has sprung, not to mention keep your skin and hair healthy. Follow these expert guidelines on cleaning up your beauty routine and swapping out some of your products now that warmer weather is on the horizon. Spring cleaning doesn’t only refer to combing through the junk in your closet or garage. Your beauty stash also requires a good purge. Discard products that are over six to nine months old since they can have bacteria build-up and ingredients can expire. She added that it’s also a good time to reassess your skin type and consider what your regimen might need added or removed. Determine if you’re dealing with oily, dry, dull, irritated or acne-prone skin and opt for products that cater to your specific needs. Exfoliation expedites the process of sloughing off old skin cells so that new ones can emerge, explained Patinkin. For your body, a gentle physical exfoliator made with sugar, salt or finely-ground plant material can be used. For the more delicate skin on your face, consider a mild chemical exfoliator with AHA. So instead of reaching for facial creams made with nut butters or heavy oils, opt for water gel moisturizers or dry oils like camellia or rosehip. For the rest of your body, switch from a heavy cream to a lotion or gel, as well. Allergies can worsen in the spring, resulting in dark circles, swelling, inflammation and redness under the eye. When this happens, under eye bags look worse and wrinkles become more noticeable, explained Dr. Levin. “I recommend that my patients look for an eye cream that focuses on hydration and skin brightening. One of my favorite drugstore eye creams in Cetaphil Hydrating Eye Gel since it is chock full of hyaluronic acid, which delivers hydration for 24 hours, as well as brightening ingredients such as licorice and grape extract and a pro-vitamin complex,” she said. Other eye cream ingredients to look for include caffeine to decreases puffiness, aloe to soothe and hydrate, and vitamin C to reduce discoloration. The primary hair changes people experience from winter to spring include a more oily scalp, a decrease in volume due to higher temperatures, and lackluster color due to sun exposure, notes celebrity hair stylist, Kendall Dorsey. Co-washing (which means skipping shampoo and only using conditioner) can help lock in moisture. Dorsey also says to consider co-washing (which means skipping shampoo and only using conditioner) or using a deep conditioner treatment once a week to help lock in moisture. To address both volume loss and an oily scalp, use a dry shampoo at the roots. To prevent dull color, Dorsey suggests using dry shampoos and hair serums formulated with SPF to protect your strands. Hats are also a good call. Finally, when hopping into a chlorinated pool, get your hair wet before diving in to prevent that weird green tinge. Doing so makes it more difficult for the chlorine to penetrate the hair shaft. Washing immediately afterward also helps. A visit to the spa during the seasonal shift isn’t just a way to pamper yourself. Patinkin said it’s also a great time of year for pick-me-up services that refine skin texture or boost collagen production. Such treatments include micro-needling, derma-planing or microdermabrasion. On that note, there are some services you should skip. “Treatments that address discoloration and sun damage like lasers, peels and pulsed lights are better done in the winter or fall after the frequency of sun exposure has diminished,” Patinkin notes. The importance of sunscreen can’t be reiterated enough. It’s one of the easiest ways you can prevent damage and keep your skin healthy throughout the year. With an increased exposure to sun in the summer, though, it becomes even more important to be diligent about applying sunscreen. Dr. Levin and Patinkin both agree that daily application of SPF to your face and body should be your top priority when it comes to skincare concerns as we enter sunnier days.